All COVEY UNIT 3 LOT 237-294 homes currently listed for sale in Scottsdale as of 04/26/2019 are shown below. You can change the search criteria at any time by pressing the 'Change Search' button below. 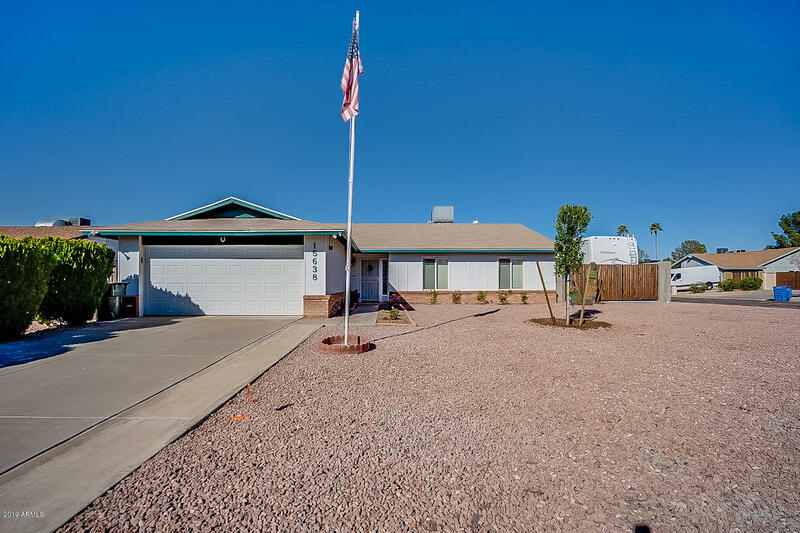 "**NO HOA**FULL RV HOOKUPS**This 1 OWNER home has been BEAUTIFULLY REMODELED! Close to everything including the park! The gorgeous kitchen boasts brand new granite, cabinets, and appliances! The master has 2 large closets! There is a 40'x18' concrete pad that is perfect for your RV or your toys and a separate 2 car garage/workshop on the back side of the CORNER LOT! Cool off in the sparkling pool! The home is a block house with dual pane windows and plantation shutters which helps with energy eff"